By Phil Treagus, originally posted on TheReadingLists.com on October 30, 2017. As the Global Leader of CEO and Executive Development at Korn Ferry (with 130+ offices and consultants around the world), we foster the accelerated growth of CEOs and CEO Successors to ensure sustainable, purpose-driven enterprise growth. 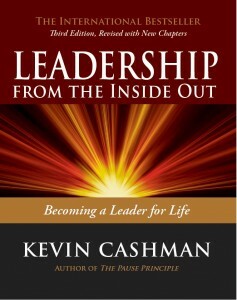 Also, I authored Leadership from the Inside Out and The Pause Principle: Step Back to Lead Forward; am a worldwide keynote speaker, and write a leadership column for Forbes.com. How about an ideal ‘typical’ day? A day that balances pause, purpose and connection is ideal. On these days, I feel rested when I awaken, take Leo, our Golden Retriever on a walk through the woods along the lake, hopefully gathering inspiration and creative clarity. My best writing often emerges on these walks! I enjoy some time to exercise a bit more, then some writing, maybe a new Forbes article, a keynote or book project. Shifting focus, I work with CEO and CHRO clients, co-creating meaningful breakthroughs. I engage with my team and consultants in the office. At home, in our meditation studio, enjoy dinner and conversation with my family, then maybe a movie or a good book in front of the fire, while Leo jumps in our bed and snuggles-up to sleep.